All you need to bring is a free spirit and a love of the open road... Love the life you live. Live the life you love! Ride Free! I love this picture and moment. This is what Ride Free is all about. 2 new friends living on different continents reenacting the amazing ride to the top of the mountain we just finished. Another new friend savors the success in the background of our first day on tour with a cold beer. I am in the background to the right with a big satisfied grin on my face. Just soaking it all in. Ride Free Motorcycle Guided Tours is not another Harley Davidson motorcycle rental shop, nor is it a sleep-at-night, and ride-a-loop every day tour. This ride is designed to change your life. It is about life on the road, meeting people, and exploring your own mind as you do something you love-to-ride. Our guided tours are designed to allow you to touch upon the freedom American bikers feel while on the road. This is your chance to unplug, and live in the moment. Live in the present, on the road. When do you ever get to do that?We are a small personal guided motorcycle tour company, that loves our time on the road. Being on tour with us is being on the road with your friends.Ride Free Motorcycle Tours has become a meeting point for riders from around the world. Tour participants have come from countries including: The United Kingdom, England, Malaysia, Wales, Scotland, Ireland, Japan, Thailand, The Netherlands, Australia, Algeria, New Zealand, Canada, Italy, Kenya, Taiwan, Brazil, France, Germany, Norway, Vietnam, Belgium, Brazil, Spain, South Africa, Finland, and the USA. After you complete a tour in good standing, you are invited to join the RFMA, Ride Free Motorcycle Association. This is a world wide riding group of friends that have been on a Ride Free experience. Then if you are traveling to other parts of the world, you might have some friends to go for a ride with. It is an amazing group of people and we love to help fellow travelers connect with others and share the passion to RIDE FREE! Once you do a ride with us, that is just the beginning of many more adventures and great times to come. You are part of the RIDE FREE Family. You might know how ride a cruiser or motorbike around town, but when you hit the road with a group of other bikers the whole atmosphere is different. Being on the road. Out for adventure. See what comes our way. Our tours are well planned trips, but not so regimented that there is no adventure. There is nothing like being on the open road out for adventure. Let’s hit the road, and leave it all behind. 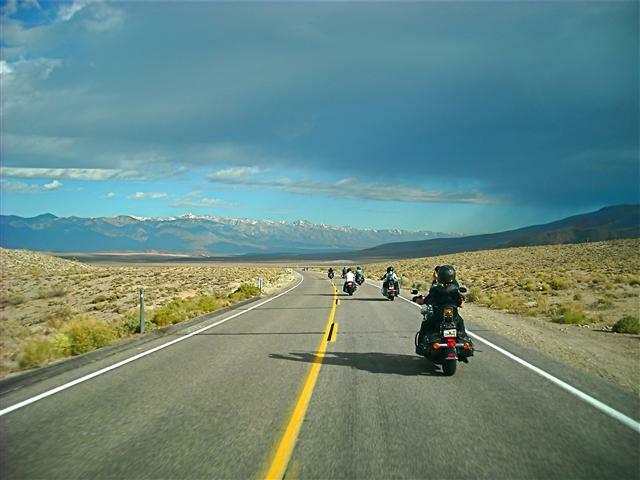 All you have to do is choose to make your dream of riding Chicago to Los Angeles on Route 66, Sturgis, ride down Pacific Coast Highway in California, or any other motorcycle tour a reality. We leave from one place and stay in a different city, town, or oasis every night. This is the real thing, life on the road, without as many dangers that follow a solo rider. I can’t stress enough what an incredible group of people come on our tours. While we do attract some novice motorcycle riders also, it is amazing how many highly experienced seasoned world riders we attract. And, how many return with their friends to share riding through Death Valley on a Harley Davidson with their friends. They have planned their own motorcycle vacation tour before, and know the value of not having to worry about a thing before the tour, or while on it. Just Ride Free! 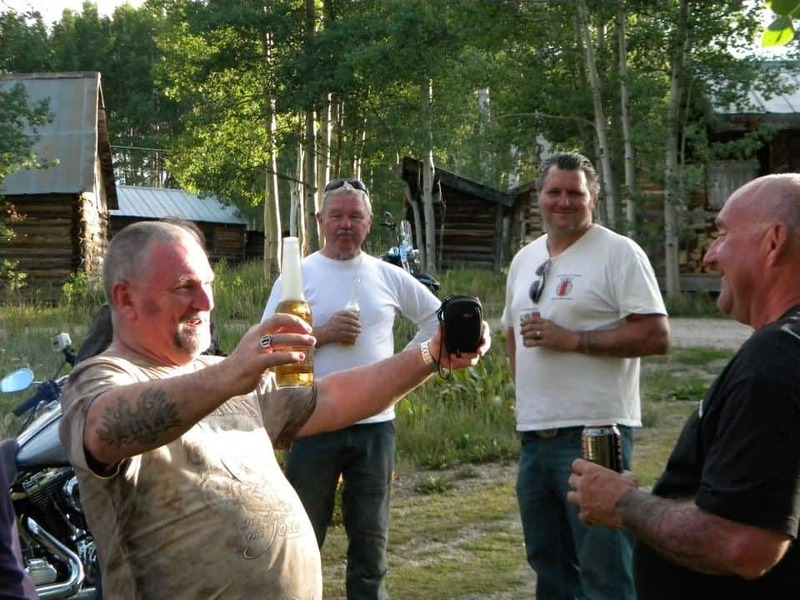 Our motorbike holidays consistently attract the best people to be on the road and a trip with. I can’t wait to take so many people up on the offer to cruise their home state or country with them one day. We provide a support van to carry: luggage, drinks, snacks, support gear, emergency supplies, a bike with a flat tire, tools, spare parts, water, etc… (Are you interested yet?) Anyone can ride a bike, but there is more out there. Come join us for your motorbike holiday. We will have a blast. We handle it all, and answer any questions or concerns you might have. All you have to do is show up. Check out what some of the Ride Free Alumni have to say about their experiences on the road in our Testimonials.